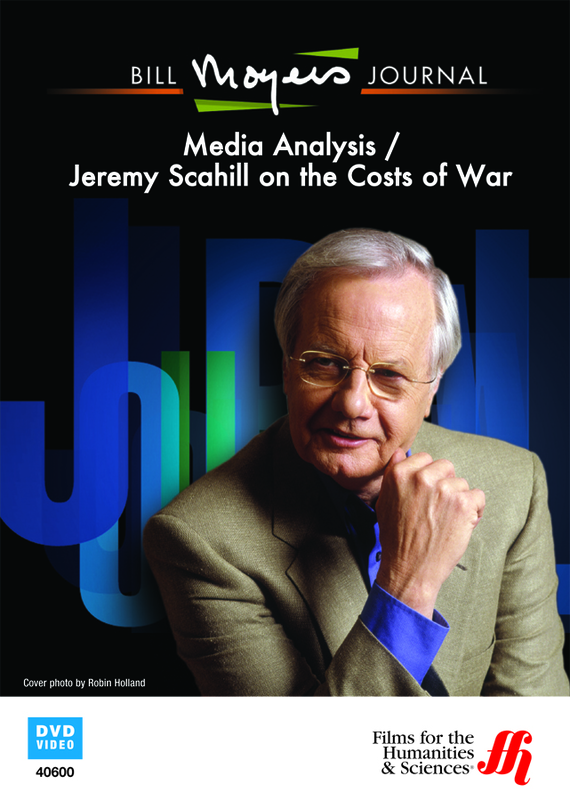 In this enhanced DVD, Bill Moyers covers the media reports on the war in Afghanistan during the year of 2009 to get to the truth about the widespread use of mercenaries that bring private corporate profits into the picture. Bill Moyers interviews Jeremy Scahill who says that 250,000 private contractors are fighting in Afghanistan, which represents more than 50% of the war efforts. Jeremy Scahill wrote the book, entitled “Blackwater,” which covers the trend of the privatization of war. President Obama has inherited a quagmire from the Bush legacy. President Obama will use one billion dollars to build embassies in Pakistan and Afghanistan. Private contractors who are armed and working on behalf of the U.S. government engaged in controversial and illegal activities. Jeremy Scahill talks about Guantanamo base and the prisons being used to hold captives without any legal recourse. Jeremy Scahill talks about General McCrystal taking over the war efforts in Afghanistan while being implicated in troubles. The rise of the world’s most powerful mercenary army is taking its toll in terms of over 180 billion dollars already spent and will ultimately cost the American taxpayers one-half trillion dollars. Jeremy Scahill challenges the Haliburton contracts and shows how they won contracts because of political connections and yet through its subsidiary provided low-quality electrical work, which is some cases caused electrocution of soldiers due to the faulty wiring. Even a military investigation of the work done by Haliburton concluded the electrical work was substandard and completely inferior, not according to contract specifications, and dangerous. Insurgents are increasing because of the use of drones. They feel they are fighting a defensive war to protect their home country. The use of drones kills people as if the operators are playing a video game and often kill civilians by mistake.